The business case for having a gifts in Wills strategy has never been more important …. On average 160,000 Australians over the age of 65 pass away annually, with 92% having a valid will and plans for their estate. Overall 7.5% of Australians leave a gift in their Will – accounting for approximately $700 million annual income for some of our favourite charitable institutions. 15% of all income recorded in the 2018 Pareto Fundraising Benchmarking Report was sourced through gifts in Wills – the third highest private fundraising source. Typically, the average bequestor is childless at the time of their passing, looking to leave their estate as a legacy that will impact communities everywhere. This number will only rise as economists predict a dramatic increase in those without children over the next 30 years. With gifts in Wills being realised approximately 7-10 years after confirmation, you need to start developing this area now. Gifts in Wills fundraising is coming to the forefront of those organisational strategies where the leadership is interested in long-term, sustainable funding streams. In an environment where fundraising is hard, money is limited, competition is high and unfortunately there is a focus on immediate funding needs and administration ratios, gifts in Wills fundraising can get left behind. This is the time that we, as a group, need to be talking to the community and our organisations about the impact that a donation in their Will can have; when we need to be getting the message to those influencers who are involved in estate planning; and when we need to be advocating on behalf of our beneficiaries on why this revenue stream is so important to the future of Australian charities. And that’s why being part of Include a Charity is the right strategic choice for your organisation. 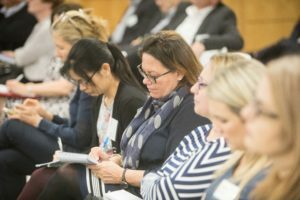 We are a collaboration of Australian charities who cover a broad spectrum of causes and aspects of our community – with a goal to encourage more people to leave a charitable gift in their Will, increasing the funds invested in the sector and thereby increasing the positive impact we all have on society. By working together, we can change charitable giving forever so that over time, gifts in Wills become the norm for many rather than just a few. Include a Charity is a powerful resource for charities to improve the effectiveness of their gifts in Wills marketing, by pooling resources, undertaking world-first research projects, increasing efficiencies and saving money. So how can Include a Charity help your organisation? 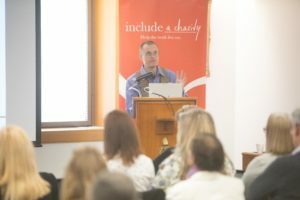 At Include a Charity one of our goals is to help you do just that – to share the best practices and stories of other organisations, to provide you with research and data to build those business cases – and to help you to help us realise our vision of $1 billion in gifts in Wills revenue by 2025. As an Include a Charity campaign supporter you get access to best practice training, webinars, and a direct line to the best gifts in Wills fundraisers in the country. 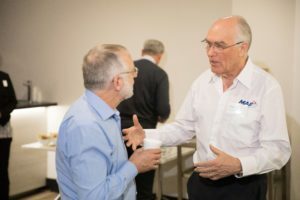 These events provide networking opportunities to connect with like-minded fundraisers. We spend time talking to those people who really make the difference – the donors and the general community. Reinforcing the messages, you tell them, and letting those who don’t know about this form of giving why it is in one of the greatest gifts someone can give. Our PR and digital advertising campaigns focus on telling stories about gifts in Wills, how this benefits the community and gives opportunity for supporters to be “name checked” and build their profile. All supporters feature on our home page and have their own dedicated page in the “Find a Charity” section which includes a link to their website, images and video content, key information and contact details. Our annual awareness week provides the perfect opportunity for supporter charities to promote gifts in Wills internally and externally. We provide you with resources such as a marketing and communications toolkit with logos, key messaging, suggested social media copy and branded marketing materials. Your organisation also gets the opportunity to take part in national and state PR activities in both general community and the legal trade press. Our job is to spread the message of charitable gifts in Wills to the giving public – we are a generous nation, but many do not understand they can leave a gift in their Will and the impact it can have. Include a Charity can speak with one voice on behalf of our supporters, which enable the campaigns of our supporter charities. We are spending our time investing in speaking to influencers (solicitors, estate planners, financial managers and trustees) , letting them know that if they just ask the question at the time of will writing – would you like to include a charity in your will – that the chance of the donor doing that increases sixfold – imagine the difference those gifts would make to our communities! We are also working with government to see how they can assist – as they realise the huge benefit increasing this revenue stream can make. By working together, we can work on research conducted with our campaign supporters and share these learnings to inform the broader group. We work alongside key research partners and look to invest in innovative opportunities that help you increase your gifts in Wills revenue. We also can invite leading international speakers to work with our supporters to assist their campaign development. If you want more information, please get in touch – we love talking about gifts in Wills!